My mother and I flew over to England several days ago. Here’s what happened when I asked the English gate agents if my mother, who is a senior, could board early. “No,” they both said in unison. And then laughed. “Of course she can,” they said. This is British humo(u)r.
At Boston’s Logan Airport, as I was about to move a lovely big rocking chair to the window for my mother, an Italian man grabbed it out of my hands and took it away. An Englishwoman in a nearby chair immediately got up and gave me her chair. These are (old-style) British manners. 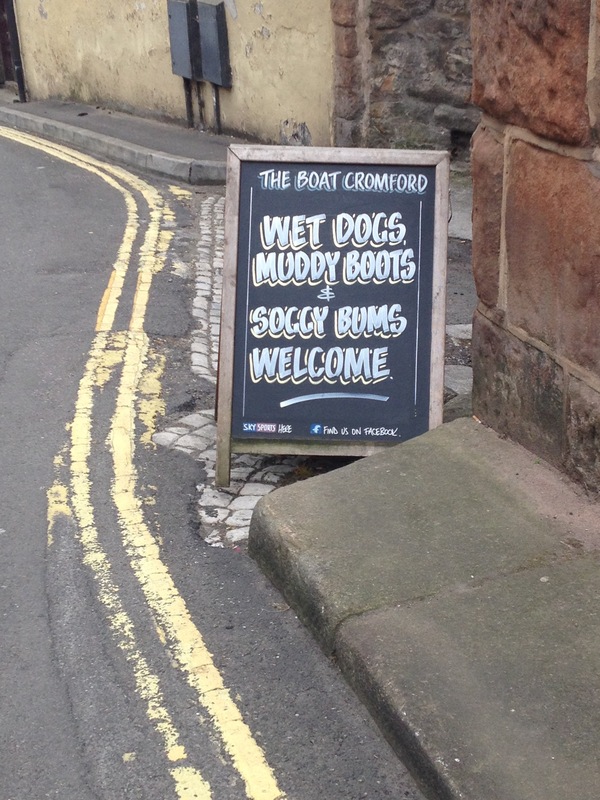 Pubs and other places in England don’t mind if you are wet when you arrive. A saleswoman in a clothes shop said to me this afternoon, “I don’t understand Obama. One minute he’s telling the world to conserve, and the next minute he’s opening up the Arctic for oil exploration.” I like Obama immensely and voted for him twice, but I didn’t have an answer for this excellent question. At a restaurant today, when I ordered a pot of tea, the English server asked me if I meant “normal tea.” Presumably Americans like abnormal tea? Whatever. It’s good to be home. Maybe the waitress was meaning hot versus cold tea. As a Southerner, I drink iced tea year around except in very cold weather.Iced tea is more common here than hot tea most places, not just the South. You know, Jane, I bet you’re right! I wasn’t thinking hot versus iced, just normal English tea versus some California-type herbal tea. I descended from the sleeper train, onto Paddington Station, in the small hours of the morning, when the bustle of the day had yet to begin. I asked two station employees (after wishing them Good morning) “Would you happen to know where I can find the Heathrow Express?” One smiled back, politely and answered “Yes, I would”. Like you, I knew I was home. He did answer my follow-up question with the pertinent information. His sense of humour made my day. So funny! And so like my experience. British humour, innit? Always enjoy reading your perspective on travel.